Mentors are incredibly important to us at any stage in our lives. Personally, I would not have been able to learn what I did and overcome challenges without the help of my mentors. During college at one point, I worked in a stem cell research lab with a mentor who taught me some of the most important lessons I ever learned. Through his mentorship, I learned about many life skills such as leadership, healthy skepticism and critical thinking, and thoughtfulness and consideration towards others. I still continue to keep in mind the positive traits that he taught me, and often keep in contact with my mentor and other lab-mates. 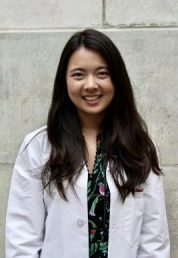 Since starting med school, I have met some new mentors and advisors—the reason that I have felt comfortable opening up and reaching out to them when I need advice so far, is because I can sense that they are genuine, non-judgmental, and invested in working with me and helping me. Starting soon, I will be writing about my conversations with people who have served as mentors—such as physicians and faculty members at medical schools—about their experiences in their respective fields, and the advice that they would give to medical students about career, healthy living, and choosing your path. For now, I would like to share some traits that I think are important in a strong mentor-mentee relationship. Both parties should first of all be open to honest communicating and sharing. The mentee should feel like they can share their thoughts, plans, and worries. On the other side, the mentor should be open to sharing their own experiences, and the real struggles and challenges involved in getting to where they have. The pair should feel comfortable discussing many different topics and talking about their opinions and ideas. The mentor should be truly excited to teach the student—not to mold the student in their own image and set them on the exact same path, but to encourage the student and teach them in whatever path the student has chosen to pursue. The mentor should value the relationship, and not see mentorship as a requirement or obligation. The mentee should be open to learning, and approach the relationship with an enthusiasm to learn from the insight of the mentor. The mentee should come to meetings at least somewhat prepared with an idea of what they want to discuss. Neither giving nor receiving criticism is easy, but both are important. While celebrating the students’ accomplishments, the mentor should also not be afraid to give constructive feedback. The feedback should not be discouraging and should instead be positive, specific, and actionable. On the flip side, the mentee should be open to receiving feedback. The mentee should accept their deficits in knowledge and experience, and know that only through receiving and working with critical feedback can they continue to improve and learn.